LONDON, 2017-May-18 — /Travel PR News/ — This weekend British Airways launches new summer sun flights from seven UK and Irish airports continuing its growth of regional flying. Prices in economy start at just £29 or customers can choose the airline’s Club Europe cabin offering lounge access and complementary food and drink. And for the first time in a decade British Airways flights will take off from Birmingham and Bristol airports to four popular European sunspots meaning that the airline now flies from 17 airports in the UK and Ireland. Seven new routes will take off from Manchester, three from Stansted and there is a new Dublin-Ibiza service. June will see the launch of flights to Palma from Edinburgh and to Skiathos, Greece from London City Airport. The new services will operate on a modern Embraer 190 jet aircraft with two abreast seating so everyone can have an aisle or window seat. The summer-only services from Birmingham and Bristol to the Italian city of Florence and to Malaga, Ibiza and Palma in Spain will operate at weekends. 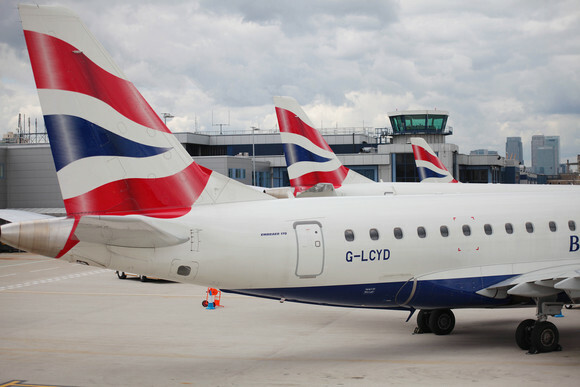 British Airways last flew from both airports in 2007 when its regional airline business was sold to Flybe. European flights will take off from Manchester to the Spanish sunspots of Alicante, Malaga, Ibiza and Palma, the Greek island of Mykonos, Nice in the South of France and a weekly service to London City Airport. New flights from Stansted will launch to Florence, Geneva and Nice, there will be increased frequency on existing routes to Ibiza and Palma. Flights to Malaga and Faro will also resume for the summer. Alex Cruz, British Airways CEO and chairman, said: “We continue our regional growth following the successful launch of services from Stansted last year. Now we are flying from Birmingham and Bristol again, and expanding our operation at Manchester, we are excited about the future opportunities. “With new routes being launched at seven regional airports we are offering customers more than 141,000 extra seats to a fantastic choice of summer sun destinations from the UK and Ireland. It’s positive news too for more than a million Avios users in the UK regions who can collect even more Avios and use points they earn to book flights, hotels and car hire as well as purchase goods on board the aircraft. This summer British Airways will fly from a total of 17 airports in the UK and Ireland Aberdeen, Belfast, Birmingham, Bristol, Dublin, Edinburgh, Glasgow, Isle of Man, Jersey, Inverness, Leeds Bradford, London City, London Gatwick, London Heathrow, Manchester, Newcastle, and Stansted. This entry was posted in Airlines, Airports, Flights, Travel, Travel Services, Travelers and tagged Alex Cruz, British Airways, summer sun flights. Bookmark the permalink.